When I、F- control the ON/OFF, the voltage output by A+, A- will be cut off immediately. Once the control has been stopped working for a long time, please turn off the power. The voltage (0~9VDC) of speed control can replace potential counter and control. Please connected across V2(+) and F-(-). When it is controlled by voltage, MAX and MIN don't work. When it is controlled by analogy voltage, the V2+ must be obstructed. It can have the effect of decel that less than 7 seconds in maximum. When you need 1/2 V of shunt motor, please connected across L1 and F+. When you need control forward and reverse, please install FR control. MIN－minimum rotation rate, MAX－maximum rotation rate, IR－6V, CL－150% full load, Accel－2 seconds. 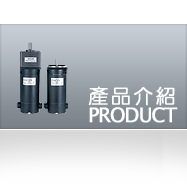 CL－limiting the electric current of starting and full load to protect the motor and control. IR－When it is fully loaded, its setting rotation rate remains which possesses function of automatic feedback compensation to stabilize the torque. The setting stated above cannot be modified by unauthorized person.